While not overly refined, Sundance is a low-cost vehicle that doesn’t shout “economy car” when you open the door. It simply doesn’t feel as puny and lightweight as other entry-level offerings, and has the added safety of an airbag. Built on the same subcompact platform as its twin, the Dodge Shadow, this front drive first arrived in 1987 as a sporty 4-door hatchback, followed shortly by a 2-door hatchback. The base engine for the Sundance was a 93-horsepower, 2.2-liter 4 cylinder. By 1988, a new 100-horsepower, 2.5-liter 4-cylinder engine became optional. Also optional was a 150-horsepower, turbocharged version of the larger 4-cylinder. Standard transmission on all three was a 5-speed manual. Optional for the three engines was a 3-speed automatic. 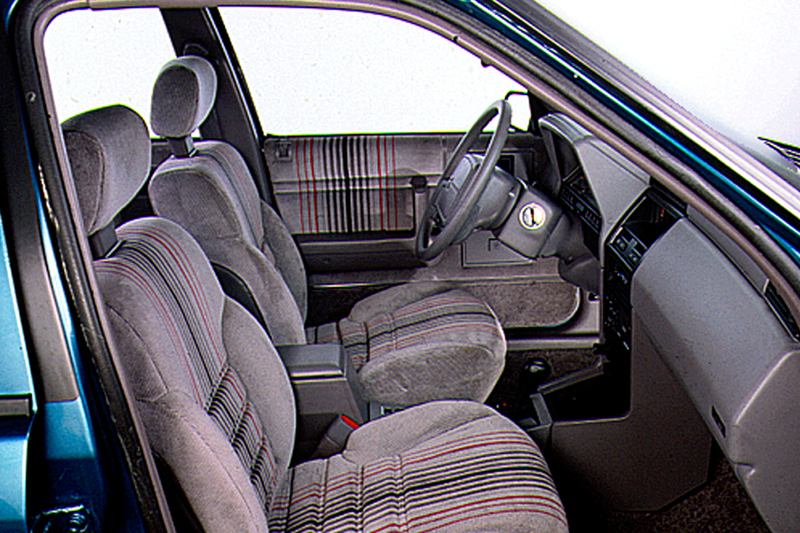 New for 1990 was a standard driver-side airbag. 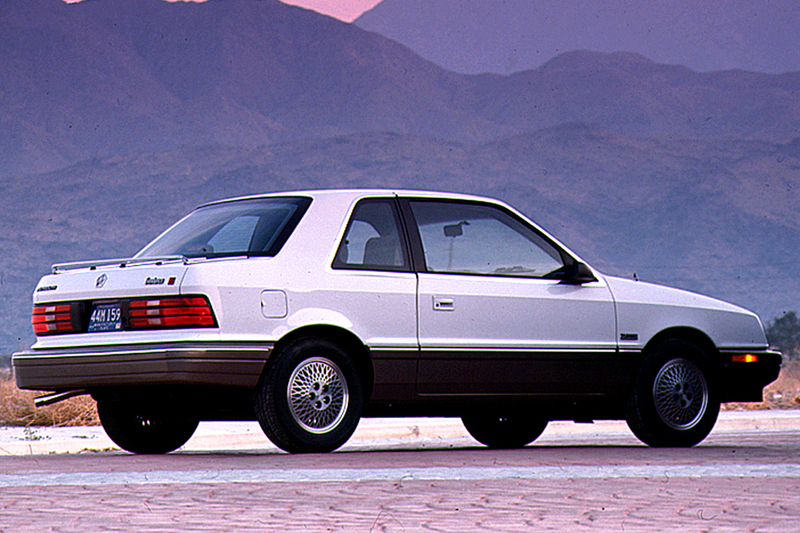 For 1991, Plymouth joins Dodge in offering an entry-level model wearing the “America” label. The America tag was first used on low-priced Dodge Omni/Plymouth Horizon models when they were being phased out to make room for the new Shadow/Sundance models. The new arrival produces three Sundance models; the America, Highline, and RS. The Sundance America comes only with the 93-horsepower base engine and has an uncarpeted trunk. Only the RS model can be equipped with the optional turbocharged engine, modified for 1991 to produce 210 pound-feet of torque, 30 more than last year. The high-end RS model is dropped and the price-leader Sundance America returns virtually unchanged for its sophomore season. Also, the Sundance Highline model gets new body colored bumpers and matching front and rear fascias. The big news is the arrival of antilock brakes as a new option for all versions of this front-drive subcompact. In place of the America model is a better-equipped base model and a new sporty version called the Duster. Under its hood is a 141-horsepower 3.0-liter V6. 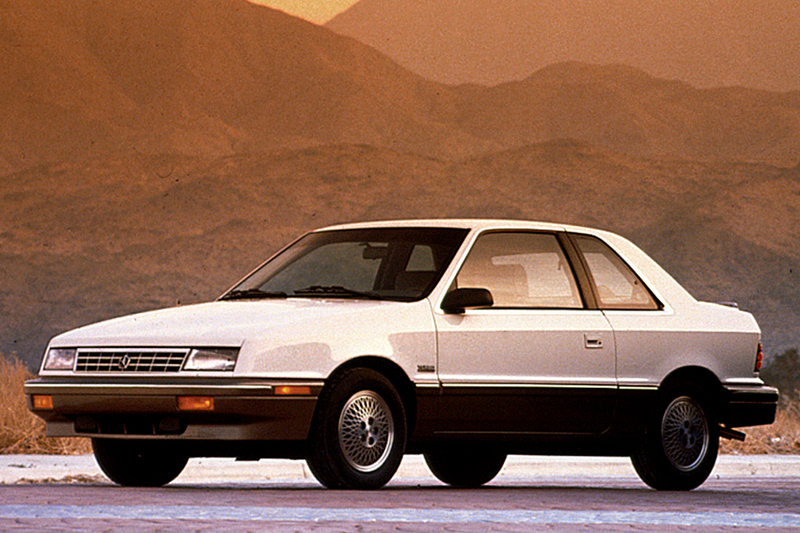 Sundance models are gradually phased out during 1994, with the January arrival of the new Neon model. A new feature added for the final year of production is a motorized passenger shoulder belt. The base engine for the Sundance is a 93-horsepower, 2.2-liter 4-cylinder. It provides 121 pound-feet of torque at 3200 rpm. A new 2.5-liter engine became optional in 1988, providing 100 horsepower at 4800 rpm and 135 pound-feet at 2800 rpm. 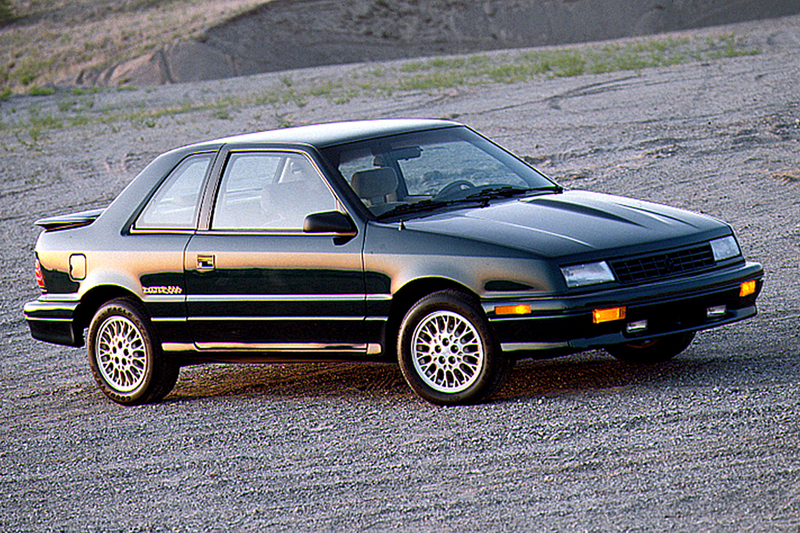 Through 1992, another optional engine was a turbocharged version of the larger 4-cylinder. It delivered 150 horsepower at 4800 rpm and 185 pound-feet of torque at 3600 rpm, until an upgrade for 1991 provided 152 horsepower and 210 pound-feet of torque at 2400 rpm. Standard transmission for all three engines is a 5-speed manual. Optional for the three engines is a 3-speed automatic. For 1993, a 3.0-liter V6 joins the powertrain lineup to power the new Duster sporty model. It provides 141 horsepower at 5000 rpm and 171 pound-feet at 2400 rpm. Base models with the 2.2-liter engine are faster than most economy cars–though the engine tends to be on the noisy and rough side. The 2.5-liter version is smoother and more responsive, though it isn’t quite as fuel efficient and not much quieter. Most raucous of the engine trio, as expected, is the turbo four. Dusters with V6 power have lively acceleration and, with wider tires and firmer suspension, make for a competent sporty package. Even the moderately firm base suspension delivers good cornering and grip, though it feels a bit harsh on bumpy roads. Tall people won’t complain about room in the front seats, but 6-footers are advised to avoid the rear seats, where both leg and head room are skimpy. Luggage space is adequate with the rear seatback up and generous when folded forward. Description: 2.2- or 2.5-liter engines may idle rough or stumble when first started below freezing temperatures unless a revised intake manifold (with an “X” cast into the No. 1 runner) was installed (1992) or a revised computer (PCM) was installed (1992-93) or the computer was reprogrammed (1994). Description: Engine valve-cover gasket may dislocate and allow oil to leak. Description: Lower seatback bolt on driver’s seat can fail and separate. Description: Bolt that attaches recliner mechanism to driver’s seatback on certain cars could break; may result in seatback suddenly reclining.